Laws pertaining to construction accidents can be complex and daunting. Our New Orleans construction accident lawyers know the law and how to fight for your rights. 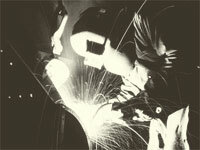 Though the intention of the law is to protect workers by provide maximum safety procedures and a wealth of resources to turn to in the event of an accident, many workers and their families do not understand fully the rights, benefits, and compensation owed to them under the law after an injury occurs. For example, some accidents result in claims being made available that are not limited to those against your employer, but could include some claims against a third party. Louisiana law can be different in some respects, but the best Loouisiana construction accident lawyers know the law and how to use it for their clients. Although the law is complex, our experienced attorneys can provide you with the resources and advice necessary to ease your mind. Our firm understands the struggles families face when a loved one is injured on the job. The potential loss of wages, addition of medical bills, possibility of prolonged treatment, and hassle of dealing with an insurance company can make a traumatic life event like a construction accident that much more difficult to recover from. Our firm’s goals are to make the entire process as easy on you as possible during your recovery and to provide you with information and advice necessary to understand all the options available to you and your family. In addition, we will work with insurance companies and all other parties involved in your accident in order to make your recovery as smooth and fast as we can. We will ensure that every detail is looked at with the utmost professionalism and provide you with updated information as soon as it is made available to us. In the realm of construction, a wide variety of accidents can occur that range from the minor to the life threatening. It is important that, in the event of a construction accident, the injured party is aware of their legal rights. In addition, it is important for the injury to be looked at and diagnosed in severity by a medical expert. In doing so, the injured individual will not sign off on liability for the accident as well as not ignore what might be a harm more serious than first expected. The potential of having to miss work for a work-related injury should never lead an injured worker to skip out on seeking medical attention. The first step on the road to recovery should be to seek medical advice as soon as possible, then proceed by contacting an experienced attorney who can work through the complexities of your case on an individual and personalized basis. By having a legal and medical expert shore up all of the different manners in which your construction accident is to be handled, your interests are being protected. Only by seeking out this expert advice, will you be able to ensure your every interest is protected. For more information on Contractor licensing, check out the Louisiana State Licensing Board for Contractors' website, located here. If you live in the Louisiana area and you or someone you love has been injured in a work related construction accident, contact us online or call us at 504-527-6225 to make a FREE consultation appointment to discuss all your legal options.